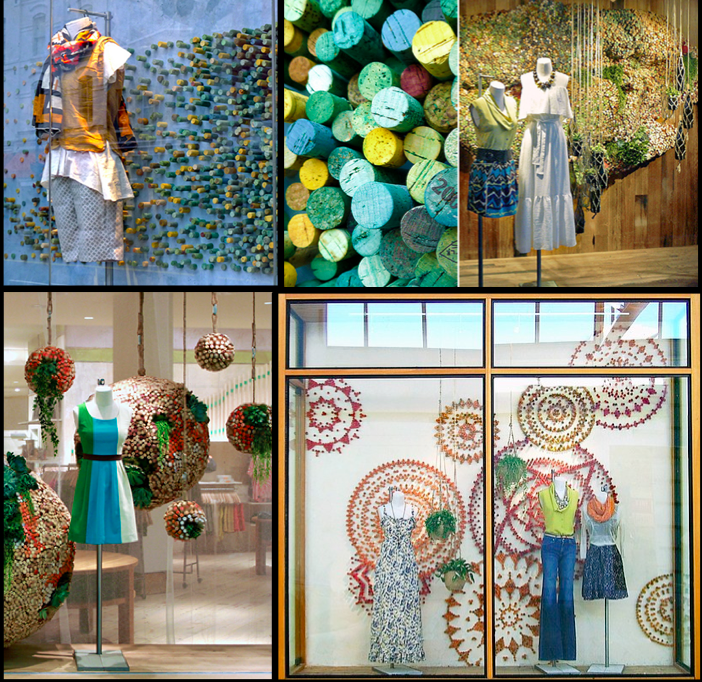 Do you remember Anthropologie’s Earth day window displays? 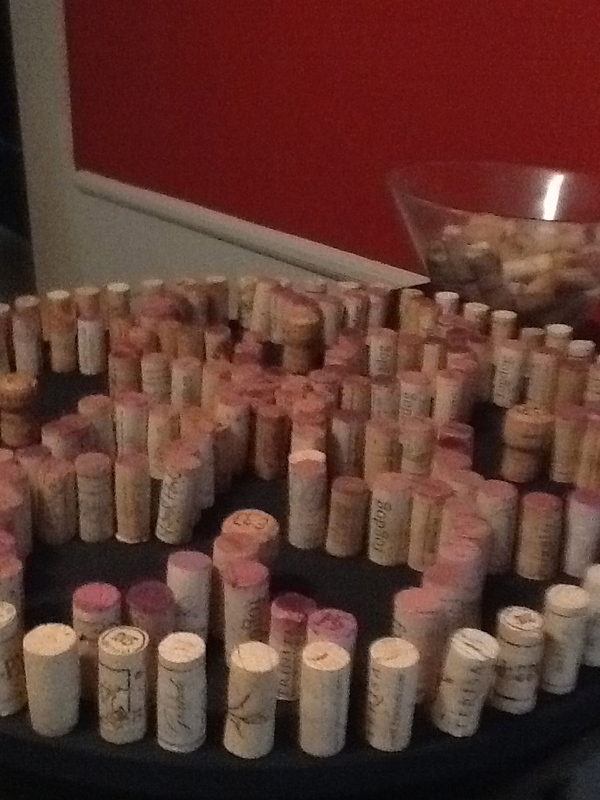 They used over 2.5 million wine corks and created some incredible art in all of their stores throughout the United States. 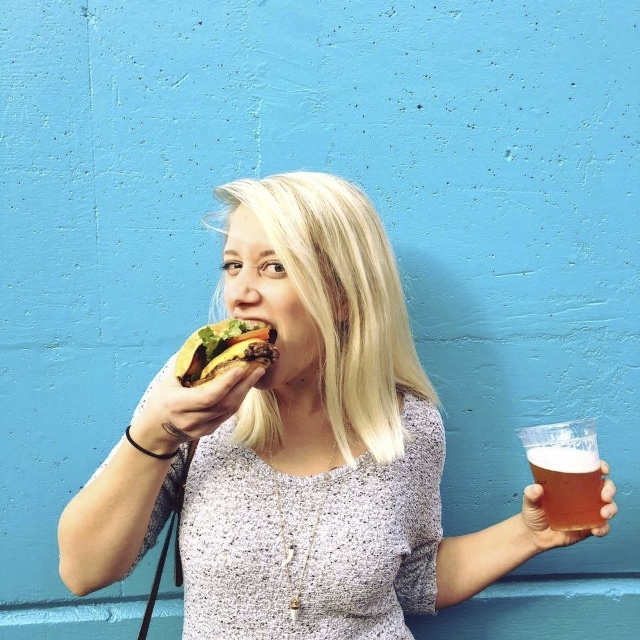 They made designs, planters, streamers, animals… You name it. And it was fantastic. Especially for a wino like myself. I can’t get enough. I’ve been thinking about those displays ever since April, and when we moved into our new place and were deciding on how to decorate I decided to give it a try. We needed a cork board. And I love this idea. Here’s how I created my own little version of the Anthro display. Part cork board and part art! Brad and I headed over to the hardware store and picked up a few things. 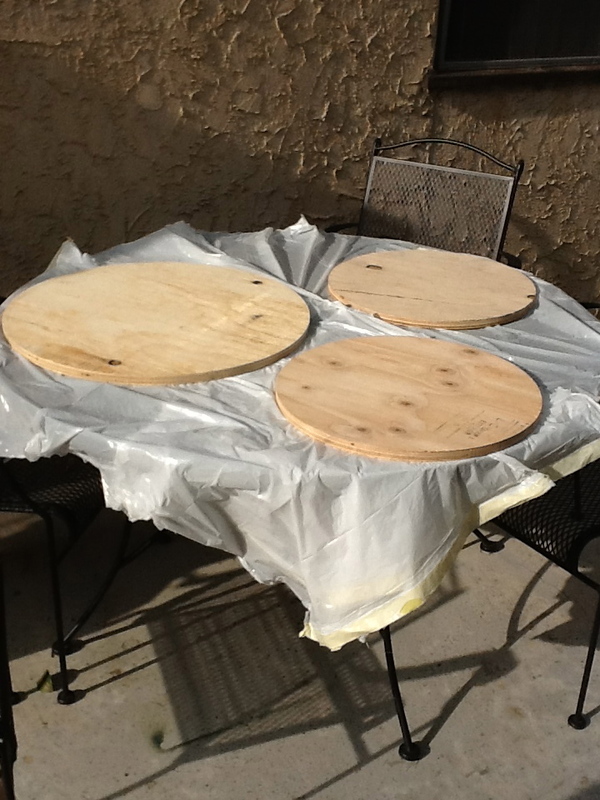 Three round wooden table tops, chalkboard spray paint (originally I want these to be multi-purpose chalkboard/cork boards, but things changed a bit), hanging fixtures, and wood glue. First things first, I spray painted the table tops black. Primer then another coat. Then, once the paint dried, I got to messing around with a design. 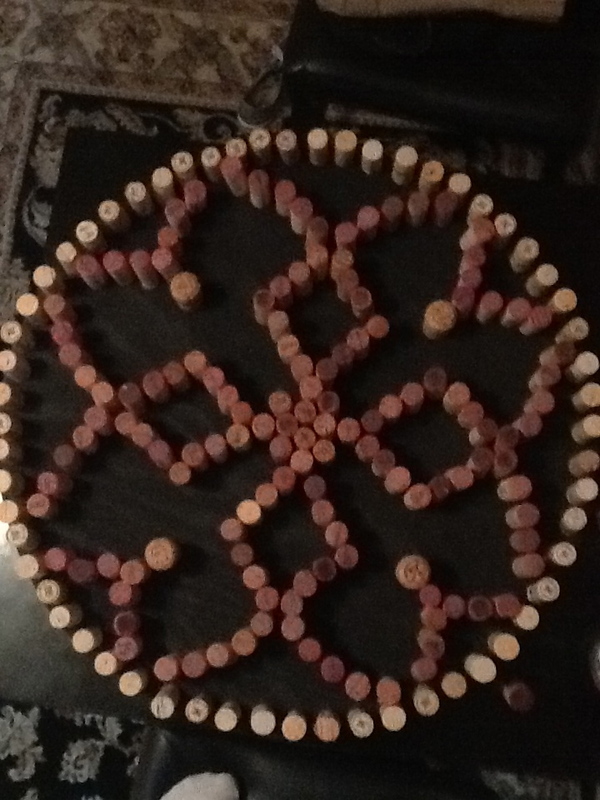 I tried to separate the corks stained purple by red wines and use the colors in the designs. Here’s what I came up with. No Anthropologie amazingness, but pretty freaking cool. Using the wood glue, I glued on the corks, section by section, going back and putting pressure on the corks to make sure they were on tight. 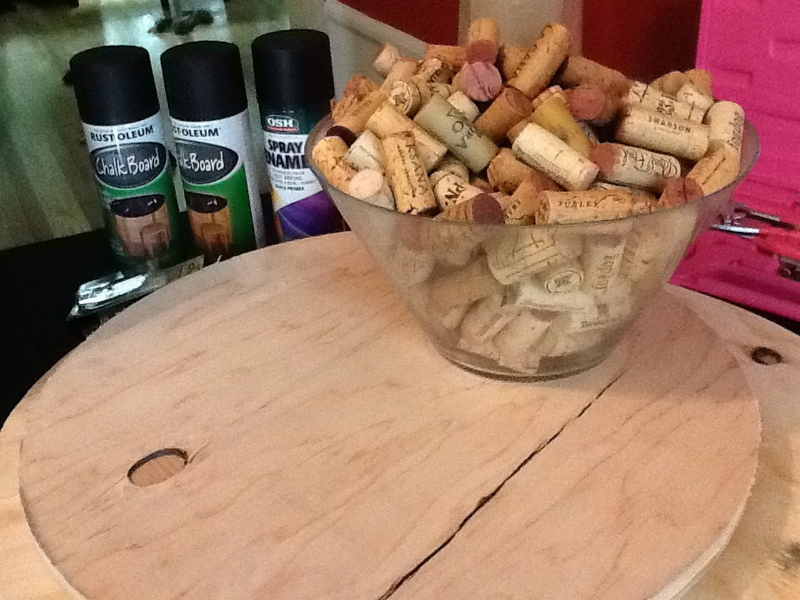 I even added a few more corks in after dinner (and a few glasses of wine.. More corks, mnore cork crafts!). I feel like drunk craft inspiration is dangerous, but always adds character. End result? 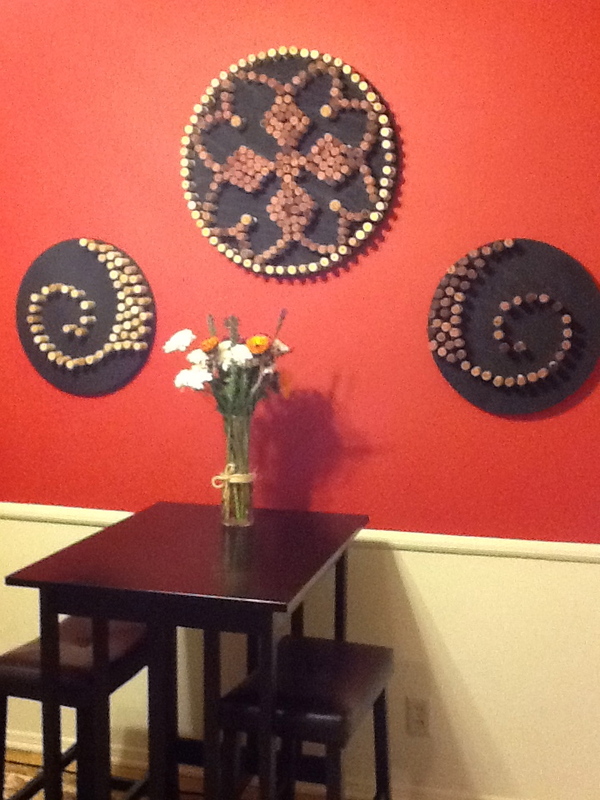 We have homemade awesome wino art and our Shy Cherry has a nice little centerpiece. I probably won’t want to hang anything on them – at least for now – because they’re just so awesome to look at. But the corks are sturdy and can absolutely hold a few thumbtacks. 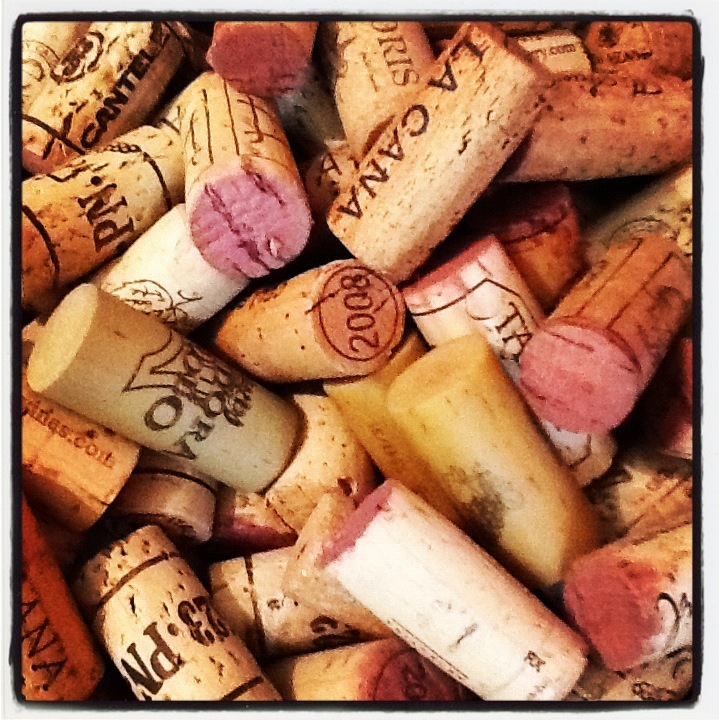 Now off to start saving corks again… Cheers!